From the author of Friends, Lovers and Other Indiscretions comes a keenly observed, often comical chronicle of the urban wealthy elite, of parents who are often too busy to notice what is going on under their own noses, of children left to their own devices, and of a young nanny thrown into a role she doesn't know how to play. 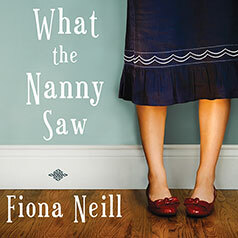 Written with Fiona Neill's delicious humor and addictive style, What the Nanny Saw is a keenly observed, often comical chronicle of the urban wealthy elite, of parents who are often too busy to notice what is going on under their own noses, of children left to their own devices, and of a young nanny thrown into a role she doesn't know how to play. It is a morality tale of our time, a tale of betrayal, the corrosive influence of too much money, and why good people sometimes do bad things.